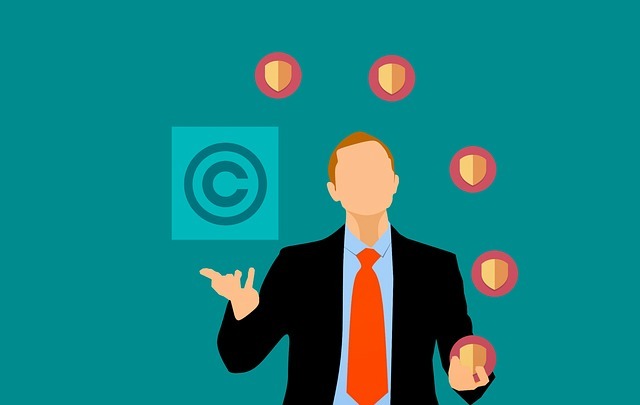 Rick Garlikov mentioned that the purpose of copyright is to protect your legal work, including article, database, white paper, and any other information in order to make it profitable enough to be made available in the first place. However, digital age has brought a new risk of copyright theft as digitalisation makes people easier to copy and paste something with no or little financial incentive to the original owner. Thus, it undercuts profits that producers can make from their labour. “The worst case scenario is that as digital and other coping technology becomes easier and more accessible, it will cut into the profits of those who have profits which now are propped up by artificial barrier of copyright – a barrier that perhaps made sense when it costs a lot to produce and distribute actual physical materials, instead of merely digital ‘information’ or reproduction,” Garlikov wrote. White paper from Rights Direct also noted that in the workplace, many employees freely share contents whenever and wherever they want, often times without credit or attribution to the publisher. This happens because of digital adoption in workplace that could seemingly benign information exchanges among employees. While in fact, if not managed, these information exchanges could create potential liability that would put your organisation at legal, financial, and reputational risk. Why is sharing harmful for corporation? The reason mainly is because the unauthorised distribution of information carries potential risk. As mentioned earlier, “copyright establishes ownership and legal protection of original creative works. So, any time employees share content digitally, there is risk for copyright violation.” As a result, this might seriously jeopardise your business reputation and undermine your corporate compliance efforts. How do employee spread and use information? According to Rights Direct data, almost half (49 percent) respondents are aware of copyright policy but still engage in uncontrolled data-sharing. On average, employees forward digital information 13-time per week with nearly half of employees surveyed only cut-and-paste content directly into emails. In fact, majority (75 percent) respondents stated that information they obtain online or in-print at no charge can be shared without permission. The truth is, in most cases, they cannot just copy digital contents. Whether the content is obtained free or paid, sharing it internally and with third parties usually is strictly limited by copyright laws. Therefore, there might be incidental or unintentional infringement. For example, “an engineer who needs resources from a textbook. That kind of copying is so prevalent that companies cannot rely on cautionary news report to inform employees. Thus, responsibility for educating them rests with employers and their employees,” David Donoghue said to Rights Direct. How to reduce such inefficiencies for subsequent users? Oftentimes, duplicators use material they found without attaching original author because they are unsure of copyright status of a work or whom to ask for permission. In this case, Marybeth Peters as in her study suggested you to create efficient mechanisms of works produced, so others can easily obtain permission to use words. However, another challenge of the future is when copyright owner no longer care about its subsequent use – or so called ‘orphan work’. Orphan work is when copyright exists but copyright owner is either unknown or cannot be located. Thus, to address orphan work issues, these new regulations from Copyright User can be applied, including how to licence orphan work, payment needed for the work, exception, and registration.